Fermantown road where three hardwood trees where knocked down. the worse property damaged of the entire path. 219 near Shawnut road as large limbs knocked down. 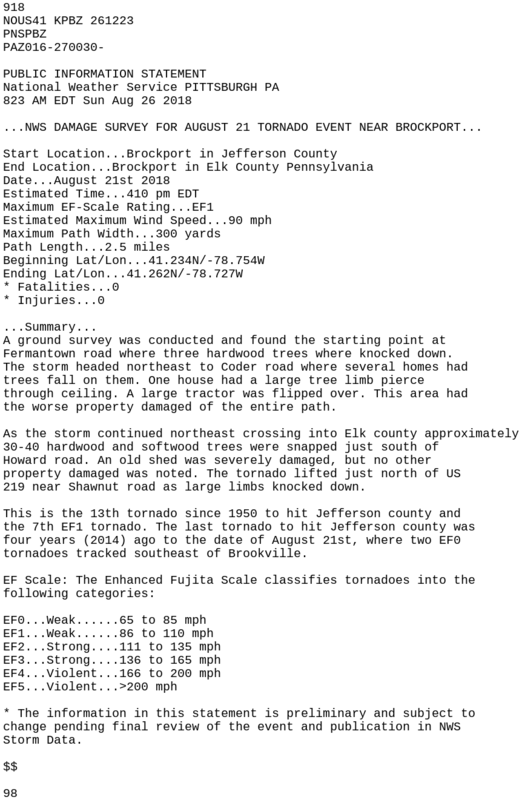 tornadoes tracked southeast of Brookville.